I would like to express my heartfelt gratitude for your continued loyal patronage to the Haseko Group. The Company is conducting a variety of businesses related to condominiums by integrating the strengths of the entire Haseko Group under the corporate philosophy of “contributing to society by creating a living environment that is optimal for cities and people.” For newly-built condominiums, Haseko has successfully built a cumulative total of over 630,000 condominium units since constructing its first condominium in 1968. This figure corresponds to approximately 10% of the total for-sale condominium units currently in Japan. With this achievement, Haseko has widely spread condominiums as a new form of housing among consumers, and has set standards for present-day condominiums through technological developments that are ahead of the industry. In Japan, the environment surrounding the government’s housing policy is undergoing major change, and it has become an important challenge to address such social issues as decreasing population, the aging of society with fewer children, countermeasures against natural disasters, promotion of environmental awareness and energy saving and community creation. 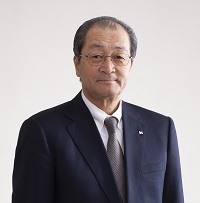 In light of this challenge, the Haseko Group started its new medium-term (six years) business plan, called the “newborn HASEKO” (Plan NB), in fiscal 2014 ended March 2015. Under this plan, we aim to firmly establish corporate management that builds upon both the Construction-Related Business, which centers on constructing condominiums, and the Service-Related Business covering such areas as condominium management, renovations, large-scale repair, building replacement, brokerage of condominiums available in the market, leasing and housing for the elderly. In April 2017, we started the latter three years of the medium-term business plan, positioned as the period to “Jump Up” (Plan NBj). In the fiscal year that ended March 2019, the second year of Plan NBj, we focused our endeavors on collecting land information, product planning, construction quality and fulfilment of construction schedules in the Construction-Related Business, as well as on steadily accumulating achievements in the management of for-sale condominiums, operations and management of rental condominiums, large-scale repairs and order reception of renovations in the Service-Related Business. Moreover, we made a variety of attempts toward continuous growth, including generation of earning opportunities through collaboration of the Group companies as well as establishment of Haseko Technical Center, opening of Haseko Condominium Museum to the public, expansion of business areas into the Chugoku and Shikoku regions and the Northern Kanto region, and new establishment of the department of value, technology and innovation that create and demonstrate business models using digital and other advanced technologies. As we enter the new fiscal year, which is the final fiscal year of Plan NB, we will strive to expand our offerings in response to customer needs and enhance our services. We will also accelerate our endeavors to expand into new business areas and business fields at home and abroad. Going forward, while remaining grateful to all the people who extend support to us, we will further reinforce coordination among Group companies and exercise our comprehensive strengths. By doing so, we aim to become a corporate group for housing to create great living, as we serve to totally support the life of people living in condominiums. Your continued and even greater support and encouragement would be greatly appreciated.